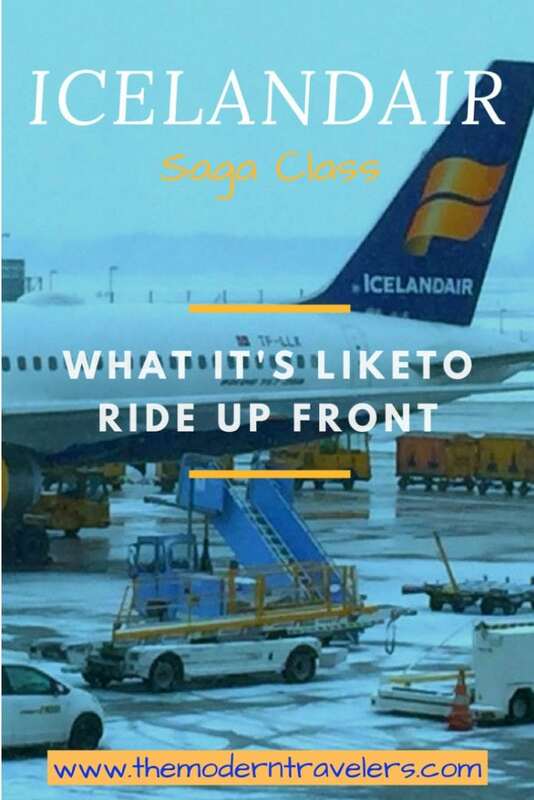 Thinking of flying Icelandair Saga Class? 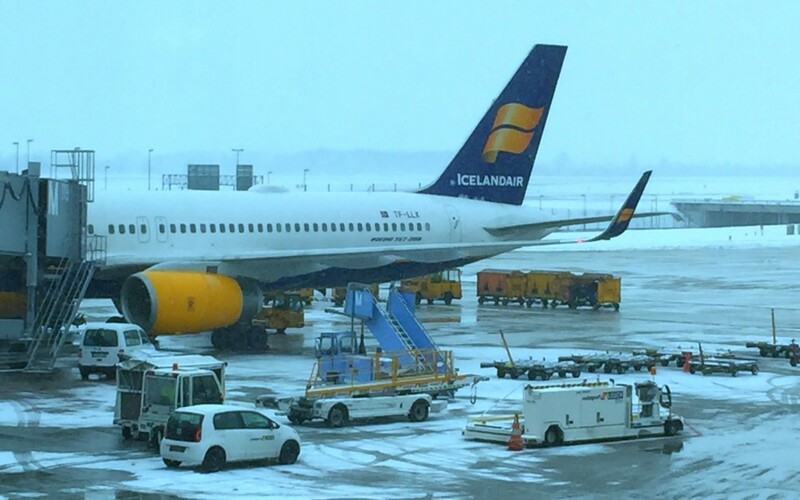 Icelandair is Iceland’s flagship carrier. They are based in Keflavik and have been operating flights since 1937. 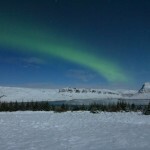 You may have heard about Icelandair’s famous free stopovers. They have a deal where you get a free European stopover with your flight, so you can fly to Europe from the US, and stop in Iceland on the way. Or you can do it in reverse, which is what I did. I flew Munich-Reykjavik, then on to Seattle in Icelandair Saga Class. 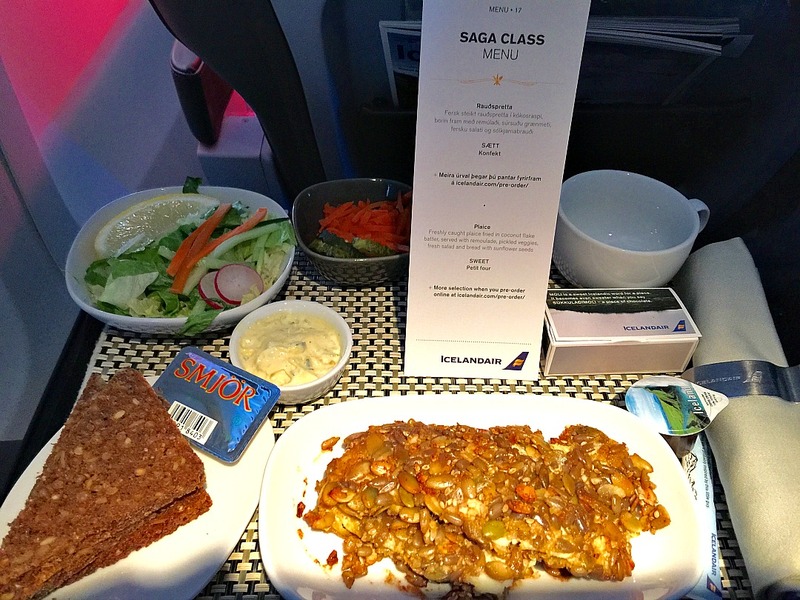 Saga Class is Icelandair’s business class or first class product. But it’s not like long haul international flights in business, it’s more like first class domestic. Icelander flies 757s, so it’s not the big jumbo jets you might be used to when crossing the water. The planes are cool looking with their bright mango-yellow engines. 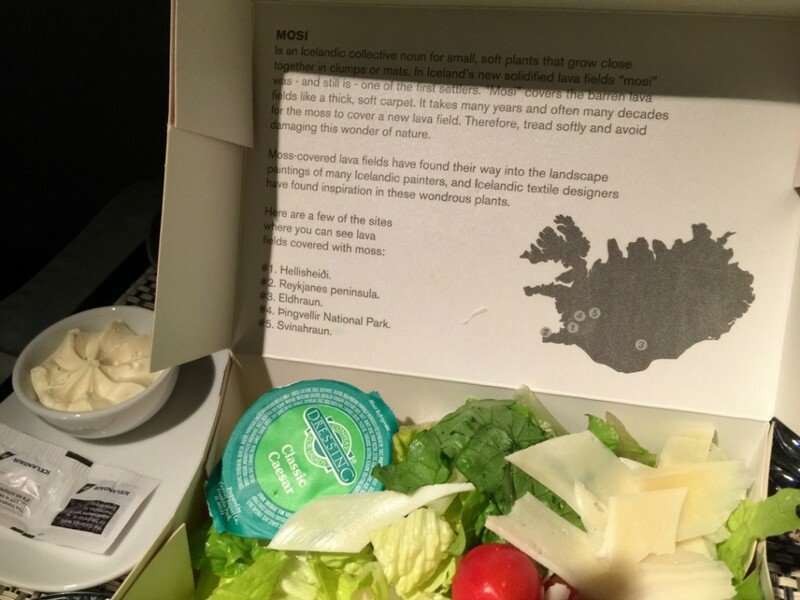 Dinner on my MUC-KEF flight was some sort of Icelandic fish encrusted with seeds, bread and salad. Nothing to get too excited about there, but it was edible unlike the food on my previous flight to Zurich on American (which did have the lie-flat seats but was no where near as enjoyable). 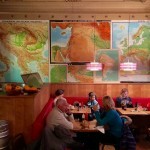 There were chocolates and Icelandic beer. The flight attendant was super attentive and always made sure I had everything I needed. On the KEF-SEA flight, they had meat up front, so I asked for a salad from the back and the flight attendant was happy to get one for me. She was concerned whether I had enough to eat (I did) and offered to bring me other snacks. Apart from the flight attendants’ Icelandic accents (which I could listen to all day), and the attention to Icelandic traditions via food and cute sayings on pillows and cocktail napkins, Icelandair Saga Class felt exactly like a domestic flight up front. I wasn’t disappointed, I knew what to expect. The flight attendants were friendly and the mood on the flight was upbeat. They also have an Economy Comfort section, which looked almost as good to me minus the food. I admit, I get excited when I get food on an airplane–there is something about the miniature containers and the concept of being a mile up in the sky having a meal, and it’s especially interesting when it comes packaged in another language. But in the end, who flies for the food? 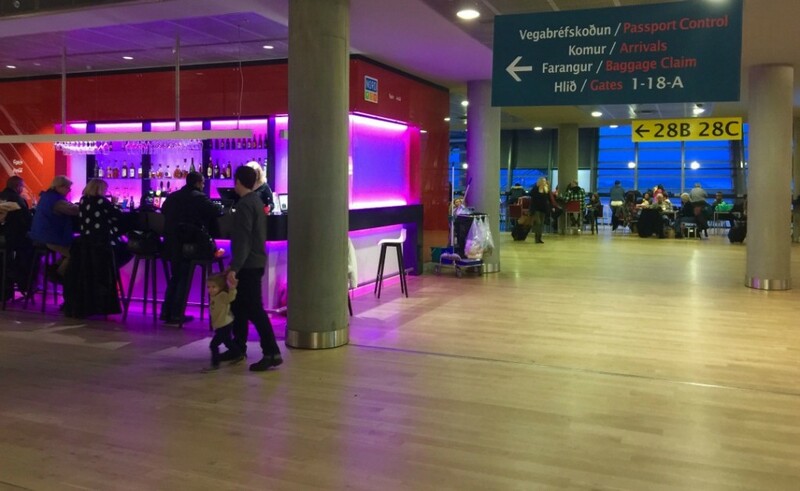 I’ve only been once, so I’m not sure if it is always like this (though I was told it was), but when you get off the plane at Keflavik Airport, you just walk straight out. 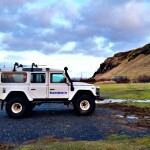 I really wanted to clear customs and get a passport stamp from Iceland. I love looking back and seeing where and when I went to different places, but alas, no stamp upon arrival. I was flying in from Munich and not the US, so that could also be why. On the way out, there was a stamp. Nothing cool and Icelandic looking, however it did have the date which helps me keep track of my trips over time. Transportation from the airport is streamlined. There are a bunch of buses just beyond the door, and it takes just 45 minutes to get to Reykjavik. Departure was as uneventful and relaxed as arrival. Keflavik is a straight up no muss-no fuss airport. It could not be easier to navigate. If you need souvenirs, there are shops up until the very end, right by the gates. 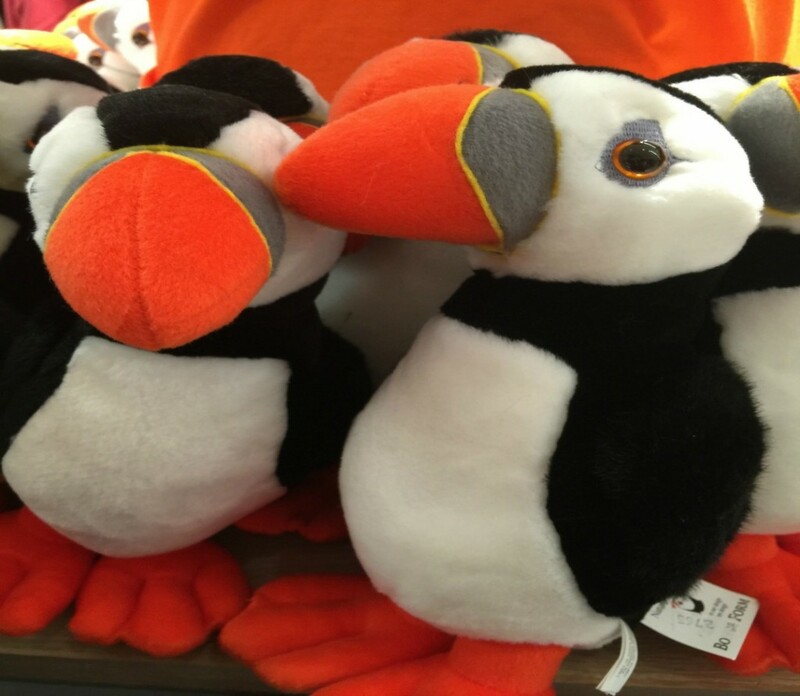 You can get the usual stuff like key chains, tee shirts and cute stuffed Puffins. The best part of flying Saga Class, I thought, was getting to hang out in the Saga Lounge on my way out of the country. 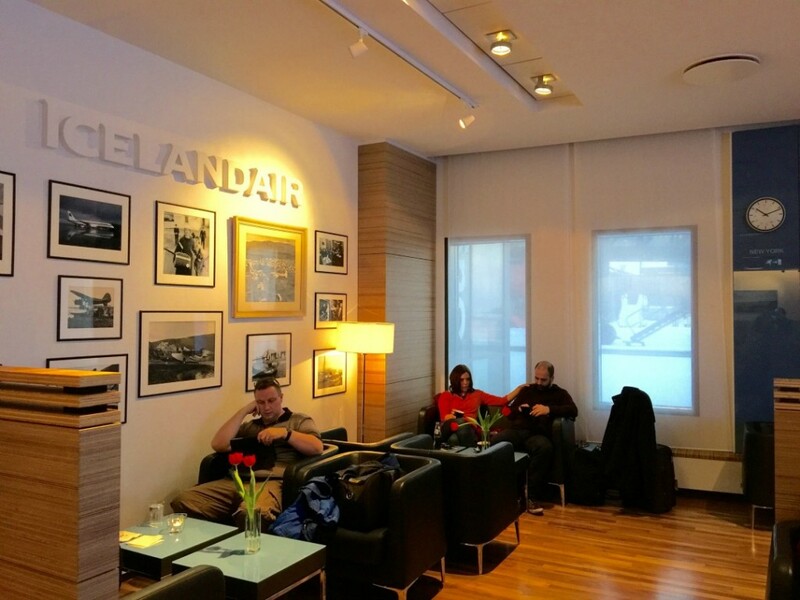 Keflavik’s Saga Lounge is one of the best airport lounges I’ve been to. 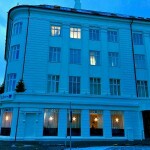 Great looking Scandinavian design elements, good food, and a sleek atmosphere. 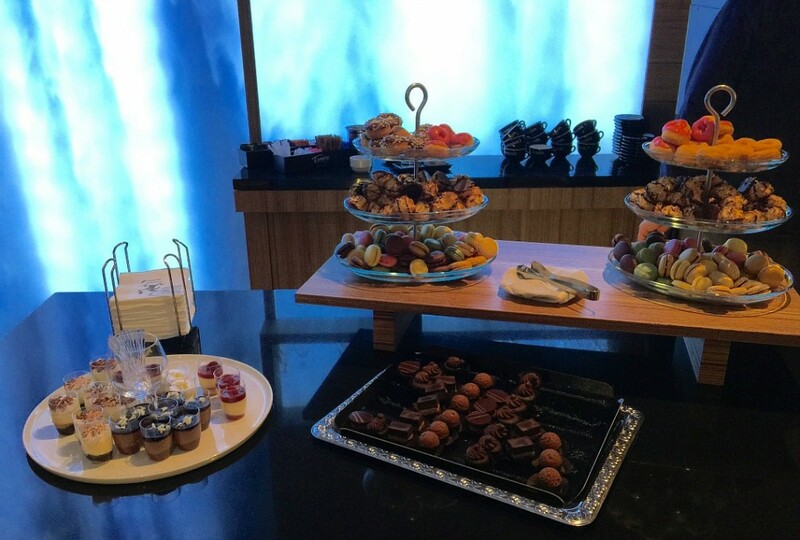 There was lava rock, beautiful nature photos and a whole corner devoted to sweets like chocolates, macaroons and miniature donuts beautifully displayed. 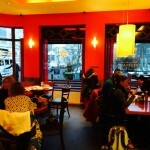 It is a relaxed and soothing atmosphere–not at all hectic or stressful. And it is immaculately clean. On my next trip to Iceland, I will choose Icelandair’s coach class for EU-Iceland segments and Economy Comfort for long haul. Though I would’t balk at coach on Icelandair either, especially not for the shorter flights like New York or Boston to Reykjavik. If I lived in a north-eastern city, I’d be wanting to do long weekend trips to Iceland all the time. Find out more on the website.